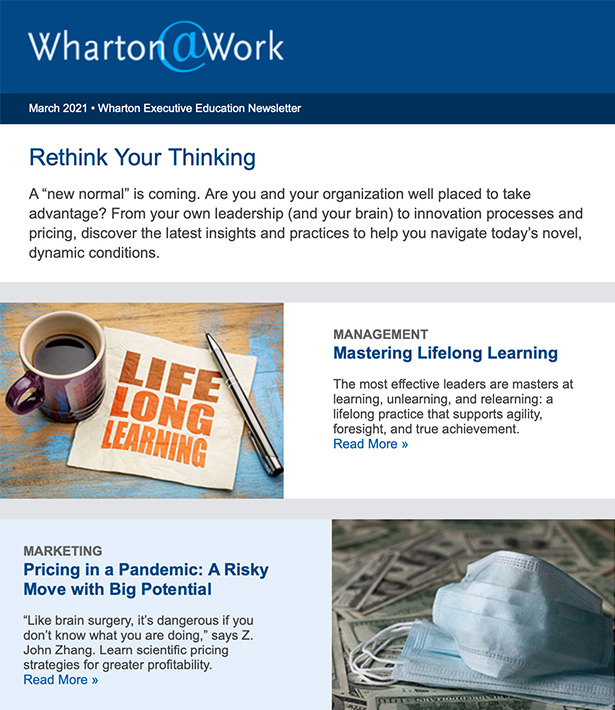 Wharton@Work is a monthly electronic newsletter that provides insights on current business issues from faculty and program participants, highlights upcoming Wharton Executive Education programs, and announces special offers. 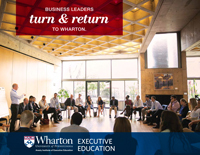 Wharton@Work offers strategies and perspectives, drawn from Wharton’s classrooms and faculty research, to build your business knowledge, advance your career, and strengthen your leadership. 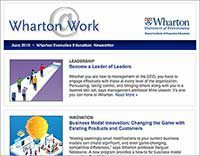 Nano Tools for Leaders® — featured in each issue of Wharton@Work — are fast, effective leadership tools that you can learn and start using in less than 15 minutes.